“Dr. Porter and the staff at Functional Chiropractic are very friendly and professional. They answered all of the questions I had during my initial visit in a clear, understandable manner. After my first couple of visits I had already noticed a sharp decrease in my lower back and shoulder pain. Unlike some doctors’ offices I have never had to wait any more than 5-10 minutes past my scheduled appointment time, even when the waiting room is packed! Also, their rates are very affordable with several different payment options so you can find what works best for your needs. I will definitely be recommending Functional Chiropractic and Dr. Porter to my friends and family! Have you been helped by our services? Please share your experience to let others know! 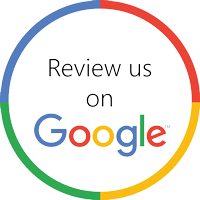 Read Our Google Reviews to see what our clients are saying!